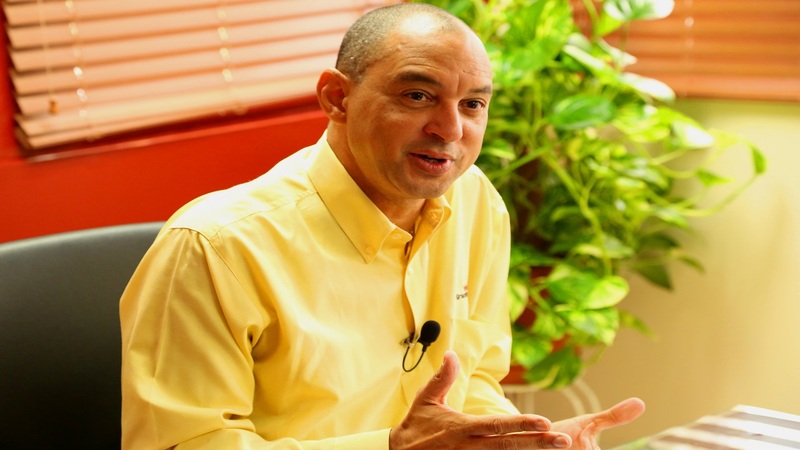 GraceKennedy’s Group CEO Don Wehby said that the company is targeting 15 per cent of revenue being accumulated from its digital platforms and has a clear roadmap of how it will execute its digital strategy. 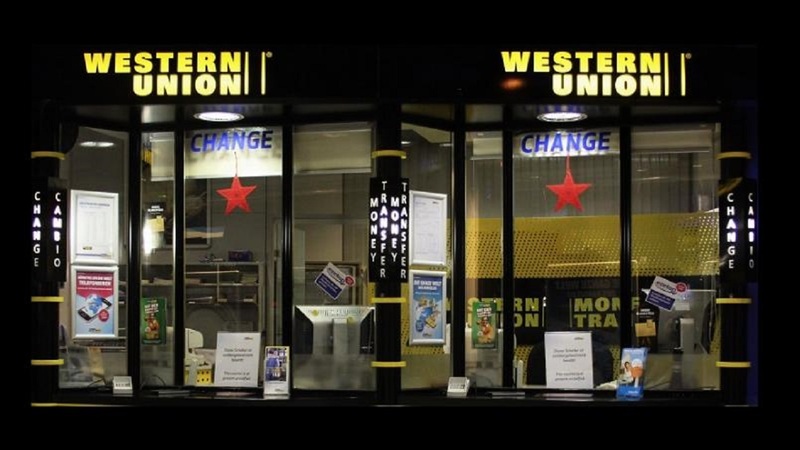 Money transfer giant Western Union and GraceKennedy Money Services ( GKMS) will be launching their online platform WU.com at the end of April this year. At a press conference held at GraceKennedy’s downtown Kingston headquarters earlier today, Western Union’s President and CEO Hikmet Ersek said this money transfer platform is the first of its kind in both the Caribbean and Latin America. Speaking with Loop News GKMS’s CEO Michelle Allen said; “ WU. com will be hitting a new customer base; customers who are account-based. We don’t expect to cannibalise our existing customers but will reach out to new customers that use the banks. Grace has over 140 locations islandwide which connects into 200 countries across the globe. Both Wehby and Hikmet Ersek would not be drawn on how much WU.com cost to implement but Loop News understands that it is somewhere near 4% of GKMS’s total revenues. That 4% is similar to the 4% West Union is investing in global compliance . As much as 20 % of West Union’s workforce works in a compliance capacity. As far as WU. com in Jamaica is concerned, front end and back end systems are in place. A robust global framework has been built which then plugs into the local set- up. This means the same security systems infrastructure that protects Grace’s online business globally is the same security systems that protects Grace’s transactions here in Jamaica. Jamaica is the first country in all of Latin America that will have the capability to move money to anywhere in the world. Wehby stressed that it is vitally important to have the proper regulations in place as quickly as possible. This is particularly so bearing in mind the growing importance of cyber security. Only this week it was revealed that a company gained access to 50 million Facebook accounts. “ When you move large volumes of money through cyber space it certainly keeps you up at night and gives you a lot to think about. One of our highest investments is in cyber security. We have stringent measures in place, measures I don’t want to reveal here today for obvious security reasons. “I think every CEO worldwide has this issue. We have constant management reviews on this. We are always looking to see how we can prevent cyber attacks,” said the Western Union boss, Hikmet Ersek. The GraceKennedy CEO made it clear that this move to digital remittances does not signal the closure of many brick and mortar branches. In fact GKMS will be expanding its locations in terms of the number of services that can be accessed through those locations and they will be branded GKOne. “ We still have a large number of people who do not have access to digital platforms .We now have 143 locations and by the end of this year we will have 20 or 25 of them where Jamaicans can go to do their insurance, credit top ups, banking and micro loans. In fact you may well see an expansion on that 143 locations.,” said Wehby. 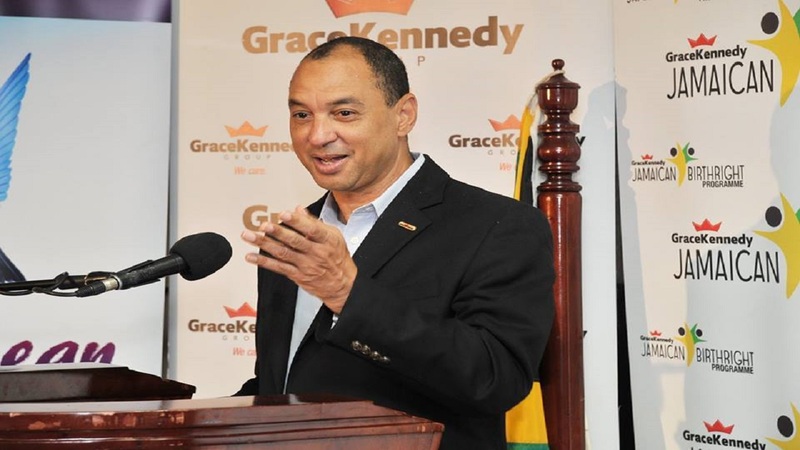 The GraceKennedy boss went on to add that the digital platforms are attracting new customers with 80% of the digital customers being new ones. This is dominated by millennials. “We have set ourselves aggressive targets . We have launched GK MPay and will be launching GK Online. Before the year is out we will be launching GKG Online which will be a mobile App where you can do online insurance, banking and money services all on one App. “As I say, ‘ what gets measured, gets done,’ so I am measuring on a monthly basis the roll out and execution of the digital strategy. 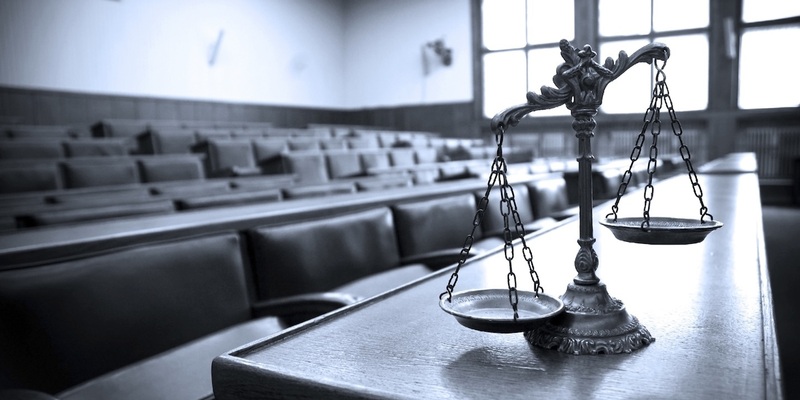 We have a stand alone strategy that will be integrated into the overall traditional strategy. This will be monitored to determine where are we, who is doing it and how much will be invested in it."